Playing on Phuket is almost like playing in Spain, California or south of Sweden. Everybody speaks english, perfect service, nice welcome and prices little bit higher than south or east. Well worth the money, though, don't misunderstand me. I love playing on Phuket and the nice courses there. 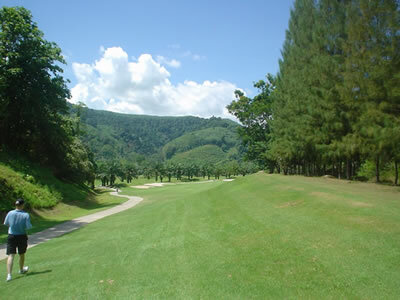 Playing there you can choose any course of Blue Canyon, Loch Pam, Laguna and the Country Club. Last day there will be video and/or camera documentation, an individual evaluation and also a group evaluation.